Inspection on average last 2.5 to 3.5 hours. Mostly depending on size and age of home. The older and bigger a home is the longer an inspection takes. Can I stay with the inspector during the duration of the inspection? We recommend you walk around with the inspector so that you will understand problems of the home. As well the inspector gives a lot of helpful tips and advice on your future home. Unfortunately, the majority of people do not know what they are looking or what should be in a home. An Power Home inspector knows the systems of your home and how it works. The biggest part of a home inspection is receiving the piece of mind and knowledge of your home. 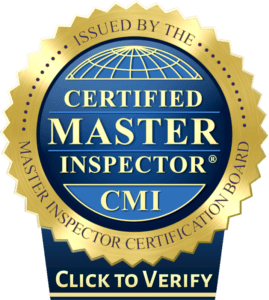 Why should I choose Power Home Inspection to inspect my home? Our Infrared inspections are superior to our competition because our inspectors are trained to use infrared technology. We also use commercial grade tools, that no one else is willing to invest as much money in. Our reports are very easy to read and have hundreds of pages of information for anything you that might not be clear on within your home. How much notice do I need when booking an inspection? Usually, you need about 12-24 hour notice. Depending on our schedule, If you need a last minute inspection and we have a free inspector we will definitely do our best to accommodate you. COLOR prints if you do so desire. Tips & tricks for saving money and stretching your dollar on maintenance. Notes are not necessary although some people prefer to. The majority of things will be included in the final report. What kind and when do I get my report? Full digital report with color picture, hyperlinks to listed problems, PDF books on how each system in your home works. You will get your report at the end of the inspection in most cases. Is there a difference if this is my first home? Yes, if it is your first home we will go more in depth in systems that you might not be familiar with. First time home buyers will not be fully aware of how to maintain a roof or how electricity is charged, or even what needs to be taken care of before winter comes.